In medium bowl, mix all ingredients except bread and cucumber. Spread egg salad on 4 bread slices. Top with cucumber and remaining bread. Save time by purchasing hard-cooked eggs; they're available in your supermarket deli or dairy case. If you're trying to reduce the fat in your diet, use fat-free mayonnaise. 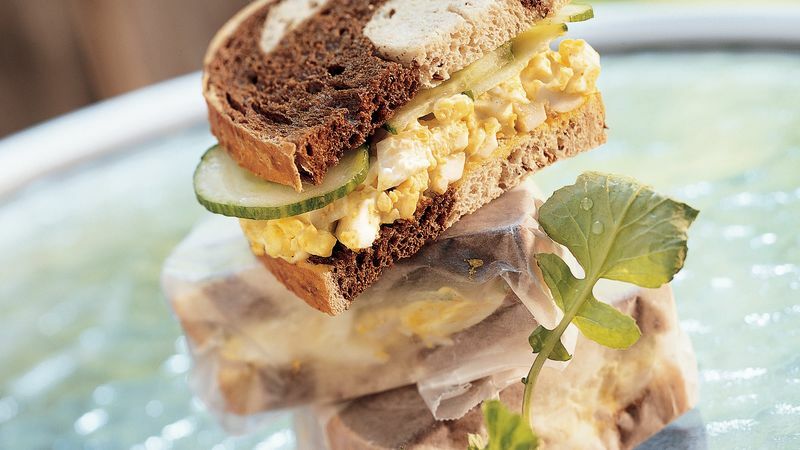 Serve this zesty egg salad on marbled rye bread, available in your supermarket's bakery.